Hungry for a breakfast bonus? Another set of morning boni to take in as you eat your candlelit breakfast this morning — first, a Brooke Breakfast Bonus, as Taylor poses with Brooke White from season seven of AI, and then a second nice picture I felt like posting. Oh, what a lucky girl Brooke is to be included in Taylor morning boni.. Number two is equally as gorgeous, his chest looks really expansive..
Never too much Taylor as far as I’m concerned…how cute do they look….married, schmarried…..another one falls under the woo…..she was also very sweet on the show….he looks awesome, as usual…. Oh no, TH, we can never have too many Taylor pictures. He is non fattening eye candy!! We love it. I don’t know who Brooke White is, but she’s pretty. And he looks proud to be posing with her. Thanks, dude! I’m insatiable when it comes to gazing at Taylor photos. Now, saving them is another matter. I’m often faced with the dilemma of deciding which ones I must delete to make room for more Taylor goodness. Even my external hard drive is starting to cough. Do you think its trying to tell me something? I don’t know how this applies but I sure know he’s handsome! NEVER too many Taylor pics- he looks so nice and relaxed in #1 (she’s a cutie too) and #2 just takes my breath away- like you said, TH… I’m insatiable!!! There are NEVER enough Taylor pictures. Both are beautiful. Keep them coming please! Keep ’em coming, Tays! Never enough Taylor photos as far as I’m concerned. I love the one with Brooke. They look so good together. Never EVER too many pictures of Taylor!!! It’s a fact. One can never have too many Taylor Hicks’ pictures. And I thank you for proving the point. Just now catching up after a bout with a Trojan Horse. We won, by the bye. Pictures are good TaysH ! So here I was eating my bacon and eggs by candle-light, when what to my wondering eyes did appear not one but two breakfast boni! 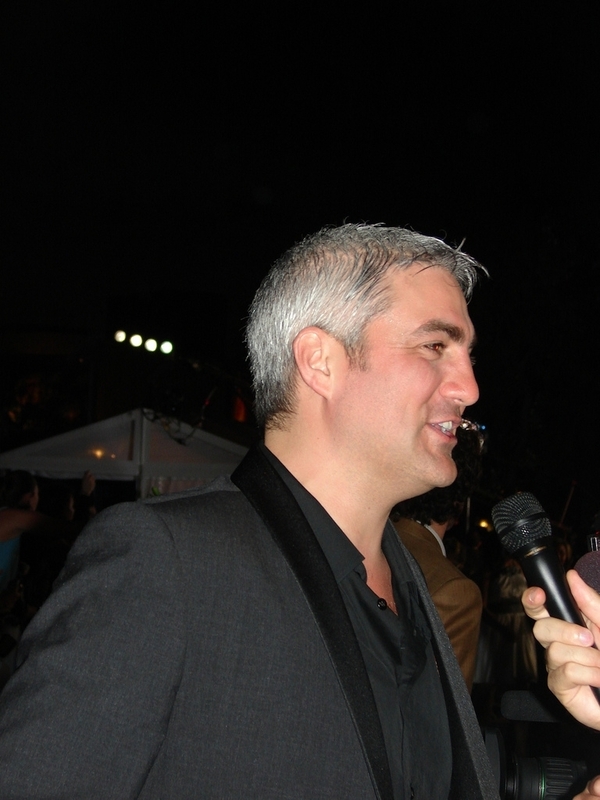 One can never have to many Taylor Hicks pics . . . so yes, the old adage is true! I am catching up on all the posts in the past two days…my head is swimming! These are the finest cornucopia of media I think I have ever seen of Taylor. He just stood out at this event. I will quote someone from another forum who said, “looking good is the greatest revenge”….or was that here? Never toooooo many Taylor pictures for me! Love them ALL. He really looks happy. Mesa has a way of rounding out a girl and teaching her a thing of two about the soul and things beyond this planet, even beyond this life. That is what I sensed about Brooke, she is truly a sensitive soul, down to earth, inside herself and inside the hearts of others kind of girl. Yee hah! Gotta love them cowgirls, that desert living sure does make a girl pretty and full of light and lovin’. Must be the sunshine 351 days a year. It sorta fills your tank for life. Sorry to talk like a cowpoke but its somethin’ that happens once in a while when I think about those parts. Thanks for sharing these pics of a fine down home gent and a home grown western gal. I’ll take whatever bonuses, boni, or boners you have for us. Felt like writing tonight and ALL of these pictures of Tay’s eyes are just inspiring me. So i wrote a little diddy, kinda a country song about those eyes…it’s not finished and it is rough but the words are flowing and it feels like a Tim McGraw kinda vibe…enjoy and thanks Taylor for your eyespiration. (wink) Remember that what I write and what I think and feel are two totally different things. I write love songs to hopefully capture the essence of what love is about for anyone or everyone who ever has been in love. Love has everything to do with the eyes…being the day after Valentine’s Day, and love is still in the air, I just felt like sharing here with all you fine folks. Enjoy and you don’t have to comment just sharing some A-musing creative spurts I had a few minutes ago. lol. Okay go ahead and poke fun at my muse. 🙂 It’s okay ya know, I am used to it. I call it “muse abuse.” I wrote this for Taylor’s eyes, but I could have easily written it for my daughter who has the most beautiful eyes I have ever seen. Love is love and it doesn’t have to be romantic. Some of the best love songs are about a man and a woman, but are about love and what it does to us, be it from the the birth of a child, or from the loss of a cherished friend. Dang, I missed the breakfast boni,didn’t get it til after dinner,but glad to get Taylor bonus anytime ! on February 16, 2009 at 1:44 am | Reply J. There will never ever be enough Taylor pictures ever. How could anyone ever get their ‘fill’ of Taylor pics? I don’t think it’s possible!! I can’t even imagine such a thing! I look so forward to my daily Hick’s Fix right here! Does that mean you’re our ‘supplier’? 😛 Anyway, I’m definitely hooked! Thanks for all your work and effort on our behalf! Tays, please stick with the old adage. There definitely can never be too much Taylor!!! soulaz, I like your way of thinking that if Taylor married Brooke, his in-laws would be in Mesa. I would probably have to leave Wittmann and move to Mesa then. Arrow2Soul, I would never pick fun at you. Very nice. There could never be too much… thank you for all your work and generosity! (A2S, beautiful words and sentiment.) I love the lady in #11 who knows where her eyes should be, at that moment, and #17 is a “Taylor for President” wave! Never ever too many Taylor Hick pix for me….I do agree that deciding which ones to “right click” is the biggest problem. Brooke is a sweetie and I wouldn’t mind hearing Brooke and Taylor sing together….the duet she and Michael Johns did is great. Yes, TH- it’s true…especially the part about never seeing enough Taylor….EVAH…..Love when he works his eyebrows….couldn’t be cuter……….love these!!! the old adage is totally true and MOST appropriate – never too many Tay pics.